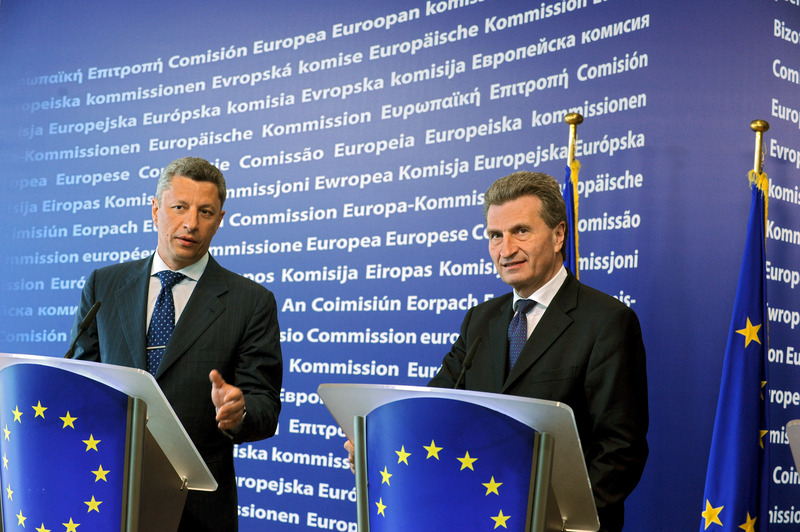 Gazprom-European Commission relations have been in a state of ferment in recent months because of the investigation into Gazprom that began on 4 September 2012, with charges against it of abusing a dominant market position. In 2011 the Russian companyâ€™s European branches in Berlin and Prague had already been searched. This took place after the introduction of the so-called "Third Energy Package" by the European Commission â€“ approved by European authorities in 2009, and which came into force in in March 2011 (with an adjustment period of two years, which ends in a few months). The package calls for an 'unbundling' between gas distributors and gas producers to allow access to energy transportation to other companies, the so-called 'third parties', and avoid problems regarding monopolies or abuse of dominant market positions and price-fixing collusions (zenovoi sgovor in Russian). For the latter, the package establishes fines of up to 10% of turnover, as well as stating the illicitness of applying different prices to different countries and the impossibility of discriminating energy companies on the basis of their nationality; in particular regarding the opportunity of European energy companies to invest in Russia, hence forcing Russia to open the market to foreign companies. The Gazprom 'unbundling' process towards Europe could consist in the creation of two legally separate companies, one of which would deal exclusively in the transportation and storage of gas in European facilities, with the other dealing in marketing. The entire affair could therefore be dealt with by the WTO, with Russia requesting an assessment of the regularity of the anti-monopoly practices initiated by the EU against Gazprom to verify whether they constitute an obstacle to free trade. Obviously, strictly economic and technical motives lie behind this dispute, but also political and geopolitical ones, including the different conceptions of The State and of its economic role between Russia and the European Union. The dispute is over whether these measures aim at introducing an actual liberalisation from the oligopolies of energy distribution, as the Commission argues, or whether they wish to introduce a hard-core control of the market, the opposite of liberalisation. The Third Energy Package will have consequences not only on EU-Russian relations, though until now the European Commissionâ€™s position on the abuse of dominant market position charges against Gazprom is merely technical rather than political. This is a particularly important point, because it means that Russia still considers the European Commissionâ€™s investigation merely technical and not motivated by political needs questioning Gazpromâ€™s, and consequently Russiaâ€™s, role in Europe. It is important for the situation to remain at this purely technical level and avoid, as far as possible, any geopolitical clashes from which neither of the two contenders have anything to gain. A geopolitical component, however, is already inevitably present â€“ particularly because of the prices charged by Gazprom in certain Eastern European countries, some 30% higher than those charged in Western Europe. Above all, we have the presence of the Russian concept of intangibility of the stateâ€™s sovereignty (neprikosnovennost gosudarstvennovo suvereniteta), i.e. superiorem non recognens, an intangibility that makes dialogue on a solution of the controversy between the European Commission and Moscow more difficult. A substantial cultural and political difference is here posed between the Russian conception of the State, conceived as superiorem non recognens, or that at least presupposes a substantial equality of rights (ravnopravie) in talks with other states, and the European, which accepts to share or transfer sovereignty to other states within the European Union or to other supranational organisms. The Russian conception of the State can hence be defined post-Westphalian, while the European can be described as post-national, with the nation state delegating some of its powers to supranational organisations such as the European Union, which acts as a multiplier of these powers and will at the same time assure peace and prosperity in the European continent. To this end it considers, to some extent, the erosion of certain aspects of state sovereignty as something matter of fact and incontrovertible. The latter element, which aims at this substantial erosion of state sovereignty is not something that the Russian conception shares. Instead, we find a strong centralization of state powers in the so-called "power vertical", hence also the recent hardening by the Russians in their general conception of democracy and human rights represents an element dividing Europe and Russia, of which the Gazprom-European Commission dispute represents a mere epiphenomenon, however important politically. A form of tactics geared in a more technical and pragmatic sense and with a â€œlow profileâ€� is therefore called for. This is what the European Commission is adopting: an approach that avoids touching the roots of specific ideological and political positions of the political conception that is the basis of the Russian vision of the state and of its structure, the so-called gosudarstvennost. This way of operating may manage to solve the problem and avoid a major clash between the European Commission and Russia, something that would become inevitable if the Commissionâ€™s decisions were to interfere with the decision-making mechanism of the Russian state and with its sovereignty. Guaranteeing the absolute impermeability of the latter from foreign interference is, according to the Russian elites, a legitimate and fundamental guarantee of national security. This is particularly important in the development of economic and trade relations with the European Union, if we consider the directives issued by the European Commission regulating Gazprom gas exports and that are legally binding for external subjects such as Gazprom and the Russian Federation, representing to all effects a limitation of the latterâ€™s political and legal sovereignty. These directives issued by the European Commission therefore have a higher value than Russian law for Russian companies residing in EU territory, and for the Russian government this is the very heart of the problem, which is legal and economic but above all political. It is the key point in Euro-Russian relations that is therefore under discussion, and these go beyond Gazprom-European Commission relations. The problem is above all between different conceptions of the relations or interactions that link legislative and executive power within the European Union and in particular the different conceptions between the European Union and Russia. It is therefore evident how a state like the Russian, which conceives power essentially as from top to bottom, not only abroad but at home too, finds it difficult to accept such a position by the European Commission. The European Commissionâ€™s implicit, albeit not intentional, questioning of Russian state sovereignty remains, beyond all the other important legal and economic implications, the most crucial aspect of the Gazprom-European Commission controversy. One that can only be solved by dealing with the several issues on the stage (access to third parties, splitting up of Gazprom into commercial, transportation and extraction divisions, opening up of foreign investments in Russia within a framework of legal certainties and with no risks of political interference by the Russian government, as has already occurred on several occasions). Russia needs to assure itself Western technology and finances, but it does always intend to guarantee them legally. Furthermore, it is important for the Russians that their energy investments in Europe be unhindered by equal mutuality, (even as part of precise European norms). Only by adopting pragmatic solutions and compromises, that avoid touching and undermining the fundamental crux of Russian state sovereignty. Something that the Russian government considers a prizipialny vopros, an unquestionable matter of principle. It is this very question of prinzipialnost â€“ the basic principle the political conception of the state is based on, and hence the cultural element that is still today inseparable from Russian political culture â€“ that intrinsically marks a difference from the European one, because it considers the indissolubility and the concentration of state power a value and a guarantee of its sovereignty that also makes it a centre of attraction for the geopolitical area surrounding it. For Europe, on the other hand, the historical experience of the post-war years has led it to considering the state too small an entity, inadequate for managingÂ international relations, even at the merely European level. This is because in post-war Europe an awareness developed of how the traditional European national state is too small to successfully deal with the world scenario and how in the past it had been involved in destructive struggles for continental hegemony that ultimately caused dissolution or downsizing. From this substantial devaluation, a cultural one too, of national states, derives the delegation of many powers to the European Union, conceived as a calmative for all the tensions that ran through European politics and as a multiplier of the power of the single states that are part of the European Union on the international scenario. It is this substantial dichotomy on the perception of state sovereignty that leads to frequent tensions between Moscow and Brussels. In addition, both contenders will have to examine the question of the political and economic costs that these measures desired by the European Commission could involve in case of a serious crisis between Russia and the European Union. In the case of the European Commission and the European Union, it could result in a greater unreliability of energy supplies or in damaged political relations. In the case of Russia in reduced revenues, which could lead to a decrease in funds for social expenses and hence in a compromised internal political and social stability, as well as in a decrease of expenditure for the renovation of infrastructures and in expenditure for rearmament to develop superpower policies (velikoderÅ¾avnost), not only at the regional but at least at the continental level, including the Mediterranean, the Middle East and other areas of strategic interest to the Russian Federation. Needless to say that the Russian leadership by no means looks with favour at the perspective of lessened energy revenues, because this could in the mid-term have very serious consequences on the countryâ€™s development, hence on its social and political stability and its general revenues. A regime, Putinâ€™s, that at the level of internal public opinion, has directed everything at political stability (a rather ambiguous term for Westerners, who tend to interpret it as political and social stagnation and immobility, based on a substantial submission of civil society to the power of the state that keeps the balance above all thanks to the huge energy resources the government can count on), and at economic growth (materially represented by the Stabilization fund, which gathers funds deriving from the countryâ€™s immense energy revenues and employs them to stabilize the its social and industrial base, often through development programmes, geared by the state, for specific regions and struggling or obsolete industrial sectors (but essential to social and regional cohesion, in particular of the huge countryâ€™s eastern or Siberian areas, which represent Russiaâ€™s new expansion carrier towards the emerging countries of North-East Asia). The renewed power of Russia at the international level cannot by no means allow any tensions to jeopardize the very bases of this power in the form of mass demonstrations. A direct conflict is therefore unthinkable, because the two contenders share a marked interest in finding an acceptable solution for both parties. Overall, Russia-European Union relations express themselves on equal terms, and not, therefore, asymmetrically, in terms of contractual power, without the opportunity to use so-called conditionalities on one side or the other. Difficulties in dialogue do not only originate from possible differences in economic interests, but above all from a massive gap in the comprehension of their mutual historical essence and legal cultures. As mentioned further down, these particularly concern norms of legal behaviour, which therefore have a normative value and political and institutional values that are not common to the two. Power relations between Gazprom and the European Commission are overall favourable to the latter, because the European Commission has always succeeded in punishing monopolies and oligopolies, as it has done, for example, in the case of Microsoft, for the abuse of its dominant market position. The opportunity to change some postulates of Gazpromâ€™s behaviour may well constitute in the future a perfect precedent to modify the behaviour of the Russian government elite in the economic and political fields. It may also convey to the technical and political elites the crucial message that compromise does not necessarily represent a defeat of the previously mentioned prizipialnost. The idea that a mediated solution bringing medium and long-term advantages to both parties is not a defeat, as assumed by the axiom of the zero-sum game of Soviet memory or the old Soviet concept of vnemesciatelstvo, recently revamped in Russian political terminology, i.e. the concept of "intrusion" in the internal affairs of another State, something in sharp contrast to the idea of "cooperation" between national governments and European Commission, as promoted by the latter. It will be difficult for a state like Russia, for centuries used only to weaving relation with single states, to open negotiations with the European Commission, which does not legally represent a single state, but is an autonomous legal entity that the various European states have no power to control in its initiatives for the regulation of the energy market, the true driving force towards a definitive creation of a single European market. Russiaâ€™s reliance on good relations with certain Western states like Germany, France and Italy cannot turn out to be a winning strategy to block, or at least limit, the initiatives taken by the European Commission with regard to Gazprom, insofar as these countries have no legal power to influence the European Commissionâ€™s decisions. Russiaâ€™s hard-line attitude on the issue of supplying reserved data to the European Commission is rigid and uncompromising. If dealt with adequately and in an agile and flexible way by the European Union, it could induce the Russian component to making certain concessions, though perhaps not in principle. In other words, it could lead it to doing away with the aforementioned Russian conception of centralised state and at least to explain the real reasons behind a difference in gas prices with peaks of 30% and to reveal the actual amounts of contracts signed with its European partners. According to the Russian government the levelling of gas transportation prices within the European Union, no more than 30%, would be unfeasible because established according to production costs in loco, distances, costs imposed by the countries it transits through, cubage of the transported gas and the supply times stated in each contract. It is not, according to Russian sources, therefore determined by public order motives, as many European capitals suspect, such as a countryâ€™s obedience or not to the Moscowâ€™s political line. This is what happens, for example, in the Baltic States, always staunch opponents of Moscowâ€™s policies, that Russia means to punish with forms of retaliation, which include the unjustified increase of gas prices. It also happens to Ukraine, when it fails to act meekly towards the wishes of Moscow, which according to many commentators tends to use gas as a weapon to rebuild an empire, or at least a de facto leadership within the post-Soviet area; something that the Customs Union/Eurasian Union considerably contributes to bringing to life. The idea of gas as a weapon for political blackmail of the divide et impera sort is firmly rejected by the Russian government newspaper, which explains the price differences for gas in various European countries with purely technical theses. But that things are not so simple and straightforward is a well-known fact. Hence Moscowâ€™s talks with its neighbours â€“ in particular with Ukraine, through which around 80% of gas destined to western Europe transits, not to mention Eastern Europe, almost entirely dependent on Moscowâ€™s energy supplies â€“ cannot be interpreted on the basis of an excessively simplified or even conspirational, so to speak, schema. On this subject, the Russian government wonders in what way energy commissioner Guenther Oettinger is thinking of applying the norms included in the Third Energy Package to these contracts and of carrying out investigations on the same contracts. Furthermore, the paper points out: "Gazprom is based outside the jurisdiction of the European Union and it is a state-controlled company to which a status of strategic organisation and important functions have been publicly attached". The Third Energy Package also states that Gazprom cannot purchase shares of European energy companies. The same paper admits, however, that European fears are not entirely without foundation. The energy futures market CEGH is one of the main European markets for the gas trade and one of its main attributes from the commercial point of view is that it controls the gas deposits situated in the Austrian city of Baumgarten, which allows access to final users, who the European Commission wants to protect from the danger of a monopolistic supplier applying excessive prices. Indeed, the European Commission intends to implement a plan to allow it to obtain confidential information on the purchase of gas stocks from Gazprom by European companies, thus violating the confidentiality of contracts signed by the Russian energy company. This fact immediately provoked a reaction by the Kremlin, which submits the disclosure of confidential commercial information to foreign entities to the direct approval of the Russian government or to an institution with government consent. It is this very access Gazprom has to the European consumer, according to Russiangovernment sources, that probably caused fears among sellers, who believed such an access by Gazprom to gas buyers allowed it to dictate its terms. In this way, the Russian energy giant is capable of controlling around a quarter of all European gas supplies. According to Russian experts, this purchase of shares would allow the Russian energy company to make gas supplies easier to control and consequently make prices more transparent. It is therefore the ban to also trade in gas in stock markets imposed by the European Commission to gas producers, formulated in the "infamous" Third Energy Package - according to Russian sources- that is causing a deadlock in talks between Gazprom and the Commission. A deadlock that could degenerate from being a technical and bureaucratic conflict to becoming a political and strategic one. This is what would happen if the two parties failed to reach a solution convenient to both and avoid serious repercussions in bilateral relations and a long and costly search for alternative solutions that suit both. Solutions that include a gradual conversion in Europe to liquefied gas (LNG) and Russiaâ€™s progressive orientation towards the expanding Asian markets of the Pacific area, which in perspective pose quite difficult geopolitical problems because of the scarce Russian population present in regions bordering with China. Beyond the geopolitical costs, the reconversion of the Russian energy industry towards the markets of the Far East would also imply high costs for the Russian energy industry as a whole. A factor, the latter, that the Russian government will necessarily have to bear in mind in its plans for the diversification of energy supplies to its foreign partners.